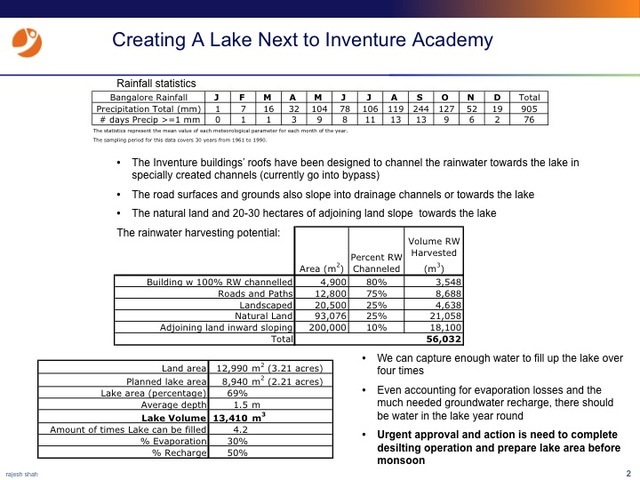 Inventure Academy wishes to create a lake by digging up a nearby enclosed area and fill it up by channeling all the rainwater from the building and grounds. Need permission from Bangalore Lake Development Authority. 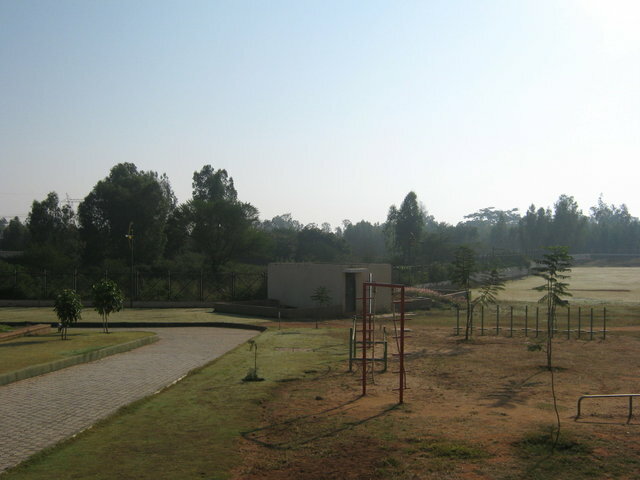 Inventure Academy is a new international school on a sprawling campus 20 km east of Bangalore. It needs water for its school, kitchen, sanitation, and gardens. However, despite sinking 14 deep borewells, they see an impending crisis: 11 of them are dry. Something needs to be done - its hard to imagine another water source, so it has to involve recharging the groundwater and also working on consumption. This will recharge the ground water on which the school is heavily dependent and is threatening to run out. Nearby community will benefit. Currently the rainwater is collected from the roofs and channeled into an open area where it flows into a culvert that empties out about 2 km away. The school property also slopes and the rainwater on the grounds also flows out the same way. The plan is to dig up the area and create a lake. The attached calculations show that the lake could hold a lot of water and much of it would seep into the ground and recharge the ground. 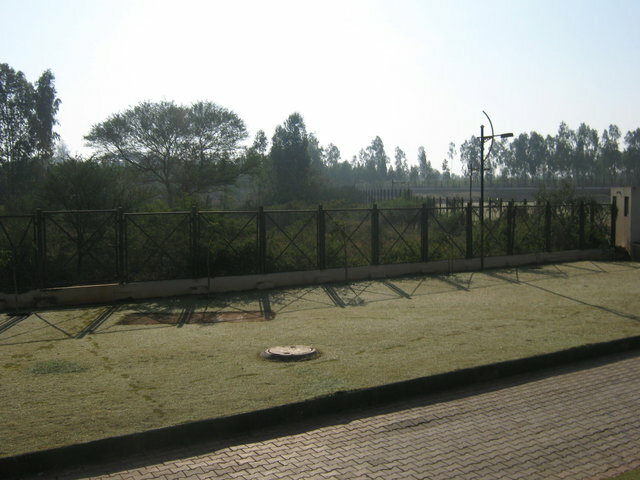 The school is organized around the project, but the Bangalore Lake Development Authority, after one visit, has not granted permission to build the lake. Other activities would be reduce the consumption through creating more native green cover. This could be part of a school education curriculum. The school will maintain the grounds. While it is public property access is planned to be restricted to maintain the sanctity of the lake.